"If your base is not properly done then your makeup is not right..."
Today I am going to talk about MAKEUP REVOLUTION FAST BASE STICK FOUNDATION. 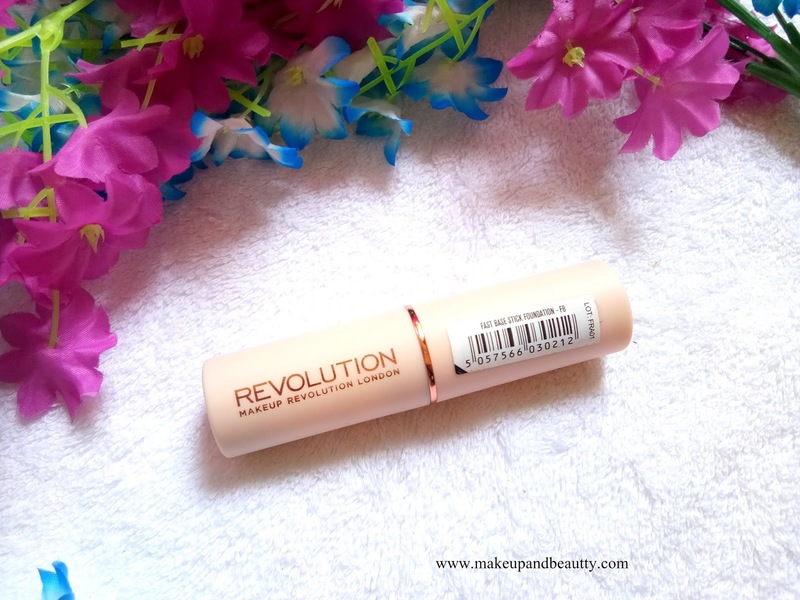 Makeup revolution launched this stick foundation just few months back in India after their concealers (reviewed here). 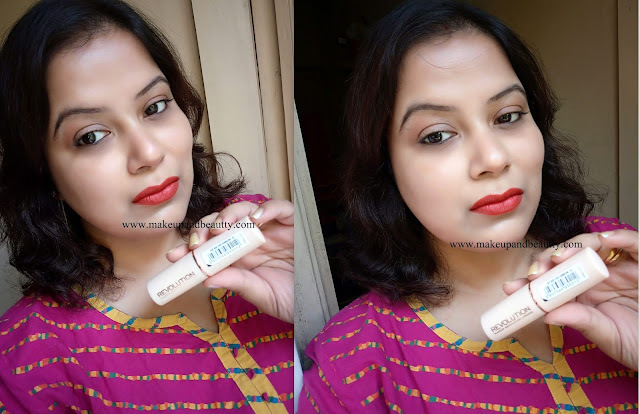 After Sugar cosmetics stick (reviewed here ) this one is my second stick foundation. Price:- Rs.850/- (now at a discounted price of Rs.765/- on Nykaa). 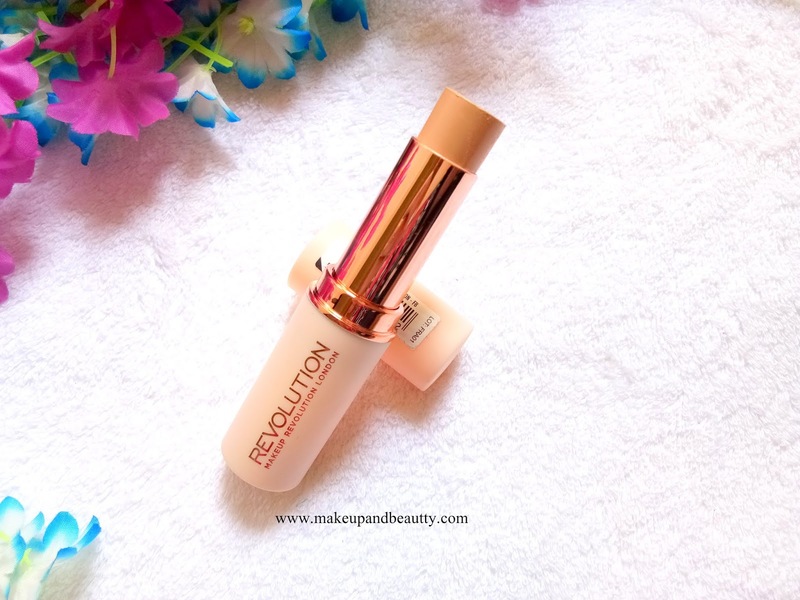 Makeup Revolution's first foundation stick is a full coverage foundation that gives you a flawless finish. Launching in 18 shades and in a wide range of undertones, Makeup Revolution's Fast Base Foundation quickly perfects, contours and highlights your complexion. The easy-to-apply stick formula melts into skin, blending seamlessly to leave a fresh and dewy finish. Twist up, swipe on and blend out with fingers, a beauty sponge or your favorite foundation brush. Done! The foundation comes in a stick kind of packaging. One has to twist it up to apply it. The packaging is sleek and travel-friendly. 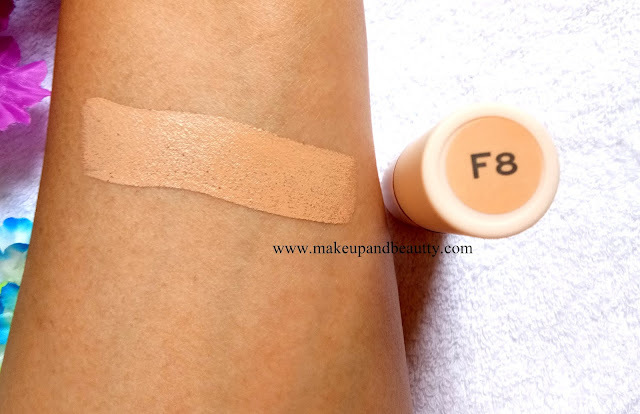 MAKEUP REVOLUTION FAST BASE STICK FOUNDATION comes in 18 shades in which I picked up shade no F8 which is a little lighter shade on my Mac Nc 30-35 (as I tanned a bit). The foundation has no brush in it (like the sugar one read here http://www.makeupandbeautty.com/2018/04/review-of-sugar-cosmetics-ace-of-face.html). One has to twist up and apply the foundation and then you can blend it with your any beauty blender, sponge or brush (as per your convenience). The foundation has medium coverage for which if you want high coverage you need to build it. The foundation is a little thick for which a small amount is enough for entire face else one might end up looking cakey. The foundation blends effortlessly and it stays 7 hours +. The foundation tends to oxidize a bit on my skin tone. As I bought little lighter shade so thankfully it goes perfectly on my skin tone. Too much of this foundation can make you feel heavy on your skin. The foundation is good for dry skin people only. Oily skin people should stay away from this else you might end up looking sweaty and oily. And if oily skin people still want to try it then my suggestion is to try it in winter, not in summer. 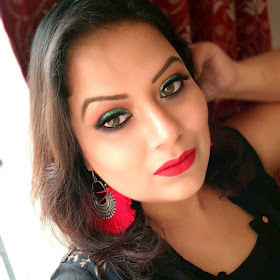 The foundation oxidizes a bit so one needs to be careful while choosing the foundation. 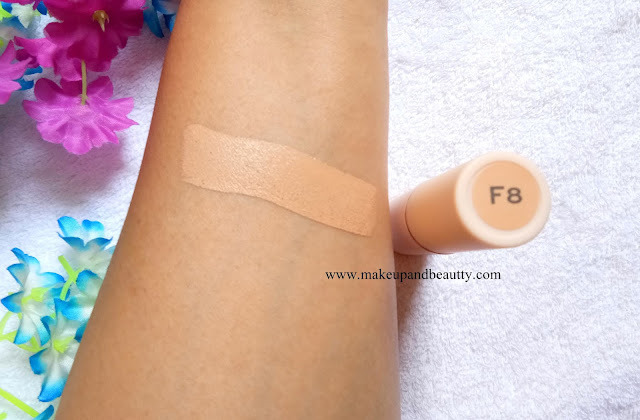 Overall the foundation is a "MISS" for me as I have oily skin and it doesn't suit me. The face application might make you tempted to buy it but these pictures were taken immediately after application so judge my review by my face swatch picture (lol...I am just trying to save your money). So that's all for today. See you in my next blog post.